Australia: How Do We Get To The Next Million Solar Roofs? 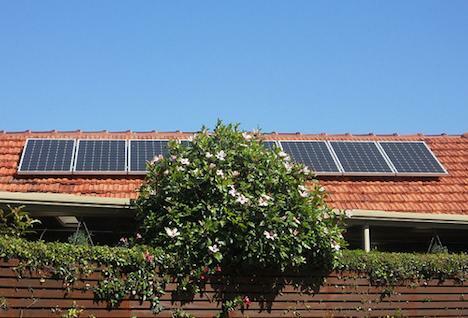 There are now one million Australian homes with solar electricity. That means 2.5 million Australians now rely on solar power – more than the population of Brisbane. Australians have clearly shown their enthusiasm for generating clean energy – so how do we get to the next million? As recently as 2006, there were only 900 homes in Australia with solar power systems. In 2012 alone some 320,000 new systems were installed. Solar’s enormous growth has been driven by a massive decrease in the cost of solar electricity. Across Australia, the cost of solar electricity is now below the retail price of fossil fuel-derived electricity. The time it takes a household to payback the cost of installation of solar power is between 5 and 10 years, compared to a guaranteed system lifetime of 25 years. In contrast to stereotypes about inner-city greenies, the first million solar homes have tended to be from the mortgage-belt suburbs, where people are worried about ever-increasing electricity prices. Coodanup in Western Australia is the suburb has the highest number of installations of solar photovoltaic systems, with over 5000 installed as of July 2012. The next highest are three Queensland localities, Abbotsford, Booral and Aroona, with over 4000 systems each. These are the solar early adopters. But convincing the early adopters to move to clean energy isn’t the same as convincing the mainstream. One of the barriers to more widespread adoption of solar power is the upfront costs. A solution for those who would like to move to solar but don’t have the cash up-front is solar leasing. In solar leasing, a company owns the solar photovoltaic system, and leases it to the home owner for a monthly payment. Solar leasing is already very popular in the US, and has been recently introduced to Australia. Internationally, solar leasing has already captured a US$1.3 billion market, and is expected to grow to US$5.7 billion by 2016, according to GTM Research. The increasing cost of conventional electricity has provided a strong motivation for many people to switch to solar. But while most people understand that solar electricity protects households from increasing energy costs, it is less understood that widespread solar can also help to reduce the cost of the rest of the electricity mix. This is because solar can provide power that would otherwise have to be met by expensive “peaking” gas plants – generators that provide the additional power needed when the grid faces peak demand. In Germany, solar has reduced the cost on the electricity price exchange by 10%. The large proportion of renewables currently being integrated into the South Australian electricity grid show that this can be achieved without placing current systems under pressure. South Australia’s energy mix now sees 29% of its electricity derived from renewables, up from approximately nothing 15 years ago. Beyond solar panels on homes, there is a completely untapped market for solar systems on commercial buildings. We now see plenty of solar systems on residential homes, but few on supermarkets, office buildings and shopping centres. Why not? The paybacks here are at least as attractive as they are for residential systems. The main issues are split incentives (where one company owns the building and another pays the electricity bill) and lack of capital. There is plenty of opportunity for innovative financing arrangements between companies that could make installing solar on commercial infrastructure a win-win situation. Looking beyond roofs, the potential for solar farms in Australia is clearly huge. Australia has a vast solar resource. To provide all of Australia’s electricity from solar power would take up less than 1% of the land area. The Australian Electricity Market Operator has relased a draft report which shows that 100% of Australia’s electricity could be produced by renewables, with solar rooftops and solar farms expected to provide around 25-30% of the total. The main barrier to the installation of solar farms to tap into this free and unlimited resource is investment uncertainty. The recently approved ACT solar farm provides a model of how this can be overcome, at the least possible cost. The ACT government held a reverse auction process in 2012 where companies bid for the lowest electricity price that they would be prepared to receive for the solar generated electricity. As a result of this, a 20 megawatt solar farm will be built next to the Monaro highway in the southern part of the ACT, that will avoid emitting half a million tonnes of carbon dioxide, and power over 4000 homes. Solar has been moving forward much faster than anyone would have predicted only five years ago. Australia has an enormous solar resource, and it makes sense that we should use it. The potential for solar leasing, commercial buildings and solar farming makes it clear that we are only at the beginning. Kylie Catchpole receives funding from the Australian Research Council and the Australian Renewable Energy Agency.